Introduction: That those who invaded Ireland in the late twelfth century were encouraged to think that they were engaged in a civilising mission is well-known. But did they also believe that a deliberate policy of civilising could have been devised and implemented? 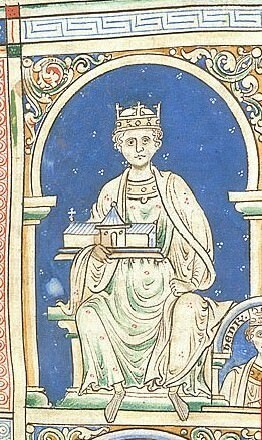 In his book on Governance of Norman and Angevin England, 1086-1272 (1987) Lewis Warren wrote that for much of the period 1086-1272 ‘the means for the direct exercise of royalauthority were restricted in scope. The essence of the matter is that early medieval societies were in practice fashioned and controlled more by social, economic and religious factors than by institutionalized government and the will of rulers’. He – and the many others who say similar things – may be right, but is this what people at the time thought? Did they imagine that the means for the exercise of royal authority were indeed restricted in scope? Or did they assume that societies could be fashioned by the will of rulers and institutionalised governments? The answers to these questions matter because, as Rees Davies wrote, ‘how men see the world – how it is and how it should be – very considerably shapes how they act and their reasons for doing so’. No one wrote more illuminatingly about perceptions and expectations than Rees Davies did and it is with this virtual world of perceptions and expectations that I shall be concerned. Did many of the English imagine that their kings could set out to ‘civilise’ Celtic societies as a matter of conscious policy? And if they did, then by what means did they expect such a policy to be promoted? Did they think that the twelfth- and early thirteenth-century kings of England had sufficient power to be able to implement such a policy?